My (honourary) aunt was a school bus driver for years...I've never had that much courage myself. My daughter has similar stories and last week the bus was late and the driver had got hung up turning around in a ditch but a log truck pulled her out. Her elementary bus seemed worse for sickness. I did a painting of the bus and the driver's husband bought it cheap from me as a gift and then when she retired (early) she had a different bus so I did another painting of that one and gave it to her on her last day. Now she is a hair stylist at her home. There is no way I could ever handle a bus full of kiddos and handle traffic at the same time. It was hard enough standing still in the classroom and doing it! Just kidding, but still wouldn't want that responsibility. I could never drive a school bus either. So much responsibility! Can you believe that when I was a small girl, high school students could be drivers? I think that has got to be one of the hardest jobs. I have a hard enough time when my two are fighting in the back, I can't imagine a bus load. Umm, I think I may have left my bus comment on another post... ooops, my bad. A tough job, I tried it while in college.Should have cleanup crews for the yuck to meet them,we did. When I think of how we used to torment our bus driver I feel so horrible. One day she took us to the wrong school she was so frazzled. I could never, ever do that job. Vomit, runny noses, and tantrums would have me running for the hills. LOL I'm laughing at Theresa! But no, I wouldn't want that responsibility either. what a fascinating post. School buses are often in the news here - the media is always reporting some no-good-nic happening . . .
NEVER have they given us the "rest of the story." Now you mention it, i can remember a few rides as a child where students were not their best selves . . .
Cupcakes - heck, yeah - and perhaps an advocacy group . . . Thanks for the fresh perspective. It is a huge responsibility. I am with you on this. 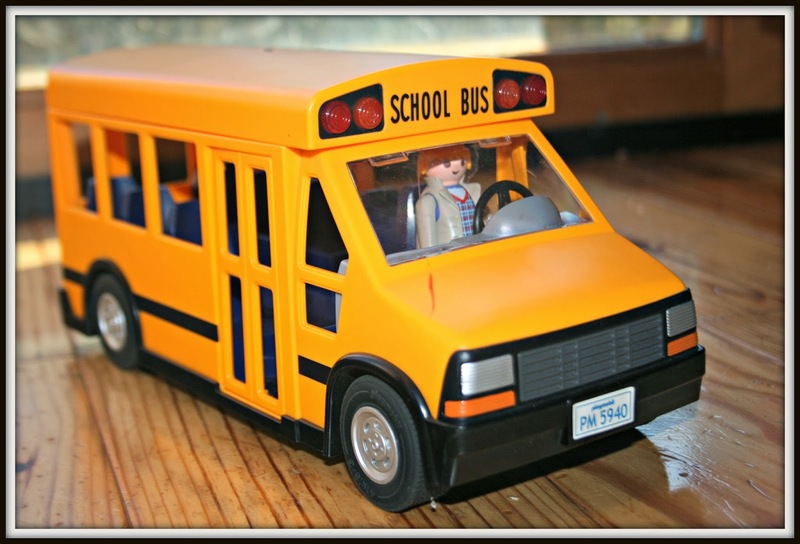 My children only took a bus for six weeks during their school years. I had no idea! I do know a blogger who is a school bus driver. I'm with you, driving one is not my top choice of work. The man who steps into a cage of ions impresses everyone, except a school bus driver. Ok, I am literally laughing out loud at #3. Hilarious! But not if you were on that bus of course. TRY (I know it's hard) to think posively when it happens... Chances of them having a problem are minimal. BUT--as I said, I do understand. We are MOTHERS and we do WORRY. We didn't really have that system in Romania, but there are school buses here in Finland, I think. I don't have kids, so I don't know how it goes, yet. Which is why my kids' bus drivers get gift cards from me twice a year. Tough gig. Very tough. I think its a very good idea to buy a bus driver a cupcake. My mom was a school bus driver for 30 years. I can't tell you how much I admire her, from cleaning up puke to always being on time to navigating snowy slippery slopes in a bus to getting up at 4 am every day, etc. I could not do it…..I applaud those that do it well. So much responsibility. Lol. Those are good reasons to stay away from the bus. I am also crazy when it comes to the kids. If they are more then five minutes late, I start to panic. Agreed, I couldn't do it. One of our sons-in-law (or is it son-in-laws) drives a school bus AND teaches all day! He says his charges are mostly well-behaved. My best friend used to drive a school bus! I don't know how she did it. Taking care of that many kids would have to be so hard. Driving that huge thing would have to be so hard. Doing both at the same time? I can't even imagine! aw...forget it. They can't pay anyone enough for that job. When I was job hunting, someone suggested I drive a bus. I don't think I have that gift. Oh school bus drivers should get hazard pay. I had a couple friends that drove school buses. They tried several time to talk me into driving school bus for our district. I held out for fear of driving such a large vehicle. I know I couldn't drive a bus. I've seen a local bus in action here...the kids were loud, fighting, moving around and I could not begin to know how the driver could concentrate with all that racket going on. I really feel for all bus drivers. My kids bus is late all the time with different reasons. The problem is we live a good mile from the bus stop so I have to drive there to get them. We don't have cell phone reception so I am sitting there not knowing what is going on. Sometimes I will start driving out to see if I can find the bus. I did that last month and didn't see the bus so I had to drive home to call which my daughter had called my husband and was at a neighbor's house over a mile away. I had to turn around and go get her. Apparently I left too soon or something? But after you wait that long. One time the bus broke down and I was sitting there waiting and waiting and waiting. A neighbor came to tell us the bus had broke down at her house and the kids didn't know her so they wouldn't ride with her. The bus driver should never let them ride with her in the first place but it sounded like he would have let them go with her if they would have done it. Sometimes the bus is late because a tree fell across the road. Last month my daughter had cell phone service so she called to tell me a telephone pole had fallen on the bus. After talking to her for 10 minutes the bus finally was able to leave after the fire truck came or I would have been sitting there not knowing what was going on. I hate school! lol I really do. We had a wonderful bus driver who retired. I bought him a cake on his last day from a bakery. He loved it. I would give him no bake cookies and things when I made them. We can't keep a bus driver now. The neighbor was the bus driver for a few months and quit. It's a hard job. I couldn't do it either! Yes, bus stories. They're quite the thing. I agree. I thought their job was hard, but after reading your post, I realize they have much more responsibility than just keeping the school kids safe and on-time for school. Quite honestly, lots of cars on the road don't respect school buses either. I've seen way too many cut in front of the bus with the hope that they don't end up behind it. It must be a dreadful experience to be in a harsh situation inside a School Bus. I agree. It's a hard job to keep. I wouldn`t be myself driving a School Bus either. It involves a lot of responsibility. I sent you an email with my photo poem for you, Lisa.